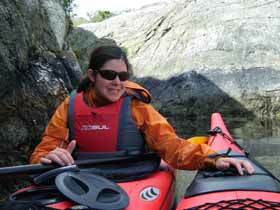 Peaceful spring and autumn paddles or the warm waters of summer? The season for kayaking will normally run from early May to late September - some tours may have shorter seasons depending on the seasonal opening times of the kayak centres. 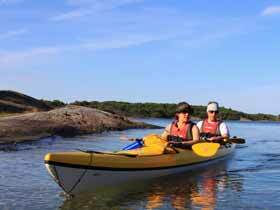 Kayaking in the archipelago areas between May and mid-June or from around third week of August onwards is an extremely quiet time to be out paddling and can be a wonderful, very peaceful experience. You should be prepared for cooler temperatures at this time - in particular the water is likely to still be very cold in May - and so guests are normally recommended to have greater confidence/previous experience if paddling early or later in the season. While weather conditions can of course be changeable at any time of year, you should also be prepared for the possibility of rougher weather. From around late August, depending on the year it can still feel summery and warm in the water, or feel cooler and more autumnal with the beginning of beautiful autumn colours. In general, there are fewer mosquitoes at any time of year in the archipelago areas compared to further inland, but numbers will normally be even lower at the start and end of the season. Read our blog article on mosquitoes for more information. You should bear in mind that many of the archipelago stores and restaurants will only be open during the main season, so you are likely to find many or all facilities closed during this time. You should therefore ensure that you bring all provisions necessary for the tour with you from the start, as you may not have the oppportunity to re-supply during your trip. 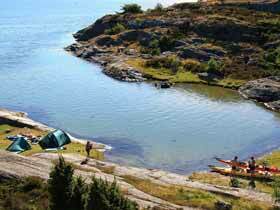 From mid-June to mid-August is high season for kayaking and other activities in the archipelago areas - many Swedes will spend time at their summer houses during their long summer holidays or spend time sailing and boating among the archipelago islands. At this time, you will encounter more visitors in the archipelago and should also take care with increased boat traffic, especially if crossing larger bodies of water. 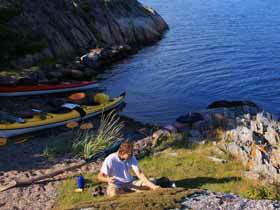 However, sea kayaks are ideal for exploring areas where larger boats cannot pass, so it is still possible to feel almost alone in the world out in the archipelagos, even in high summer. Typically, the water will be at its warmest during the time and can often reach temperatures in the low 20s Celsius, wonderful for bathing, and the smooth rocks provide perfect sunbathing opportunities. In a cooler summer, the water may be in the mid-teens and more suitable to a quick, refreshing dip! June is Midsummer, and kayaking at this time offers wonderful long days when you can be out on the water as long as you wish. Even in the Stockholm Archipelago and West Coast archipelago areas, which are located relatively in the southern part of Sweden, it will hardly be dark in the weeks leading up to and following Midsummer. Archipelago shops and restaurants will be open during the high season, giving wonderful possibilities to stop for an ice-cream on a hot day, or even enjoy a little luxury during your tour with an evening meal at a restaurant you've paddled right to the door of! (never drink and paddle, though, of course!). You will normally therefore have opportunities to re-supply or supplement your provisions during your trip. However, even at this time, we don't recommend relying on this possibility and you should bring essential provisions with you from the start. You may arrive outside opening hours and not wish to wait (archipelago stores can have more limited opening hours than on the mainland, even in high summer) or the small stores may stock only a limited range of provisions. 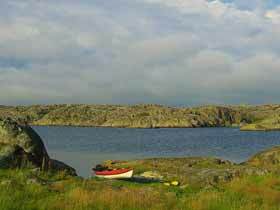 You may experience more mosquitoes/midges when paddling during high season, though as mentioned above, mosquito numbers in the archipelago areas will generally be lower than on the mainland. Read our blog article on mosquitoes for more information.